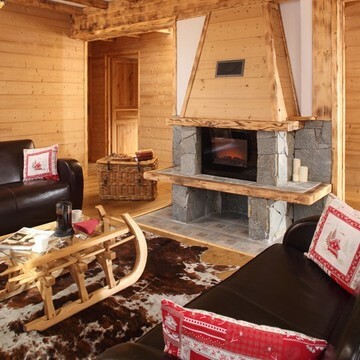 New year ski chalets available to book December for a fun-packed ski holiday in the Alps. 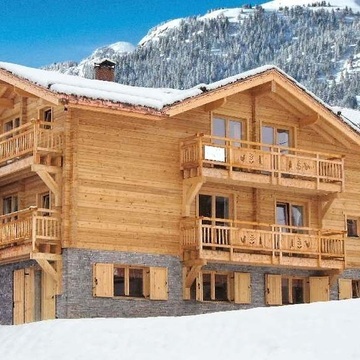 A chalet holiday provides the perfect accommodation option if you are looking to see in the New Year with a bunch of friends or family for two very good reasons. 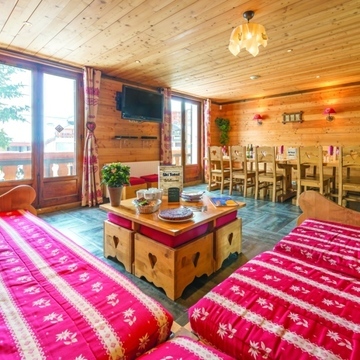 1) Staying in a catered chalet is the most cost effective way to take a new year ski chalet holiday, especially if you book a chalet that comes packaged together with flights and airport transfers. 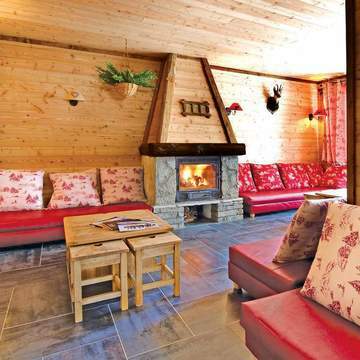 2) Chalets provide the perfect social atmosphere for you to share with your friends or family. Everyone can enjoy a proper family dinner and a sitting room gives you space in which to relax. 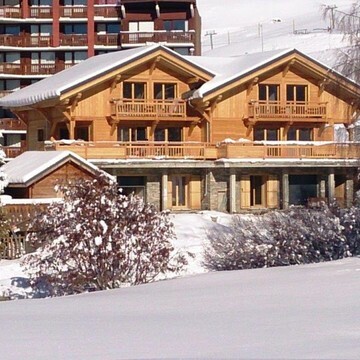 The chances are that you are taking your New Year ski holiday with a bunch of friends rather than with your family (Christmas is traditionally the family ski holiday week at this time of the season) so you should consider that you are all likely to want to relax and eat meals as one group. 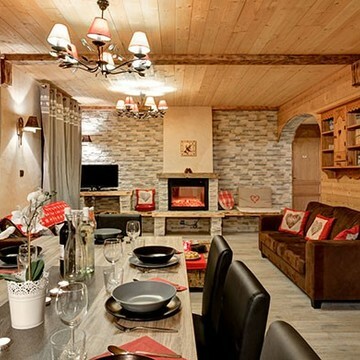 Space in the communal areas of a chalet is slightly less important with families as children and adults are unlikely to be using the chalet's sitting and dining room space at the same time. 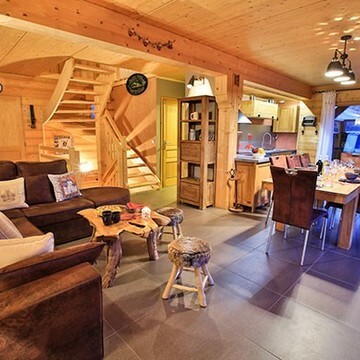 So, look for a chalet that has adequate sofa and armchair capacity for the whole group. It's not much fun when six people can sit comfortably in sofas but four have to perch on hard dining room chairs. 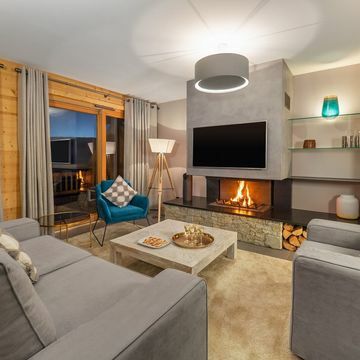 Generally speaking the more expensive chalets will have more sofas and a larger sitting room area in relation to the number of bedrooms than cheaper chalets but this is not always the case. Although keeping hot tubs operational throughout the season and totally hygienic is a challenge for chalet companies there is no doubt that a hot tub party with your friends can be enormous fun. 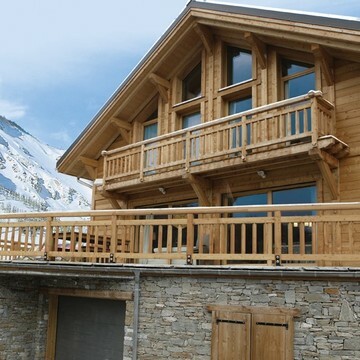 This is especially the case if you book a chalet with an outdoor hot tub with a view. At New Year the sun sets behind the mountains not long after 4pm and by 5.30pm it is dark so an afternoon star lit session in the tub can be an atmospheric event. 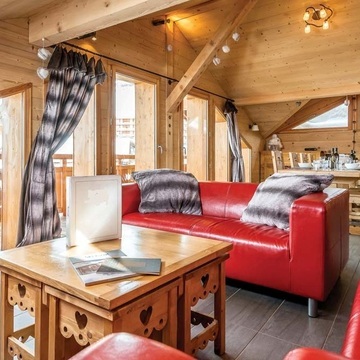 Drinking alcohol is generally not allowed in hot tubs although some chalet companies are more lenient than others when it comes to enforcing the rules. One thing to consider is that using the hot tub after dinner is seldom allowed. So although a middle of the night dip might seem a great idea after an evening out on the tiles it will not go down well with the chalet staff (or your neighbour's). 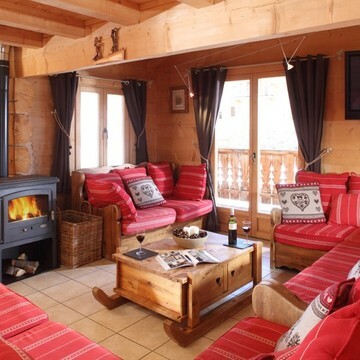 New Year in a ski resort is THE party week and most clients looking to book a chalet for this week are intending to make the most of the après ski scene and nightlife. 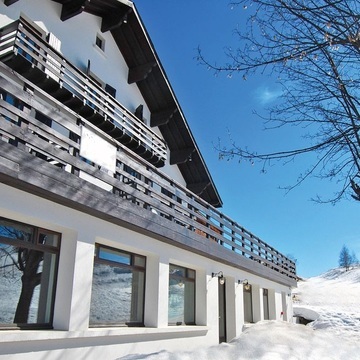 There are some ski resorts that just seem made for New Year week and these offer huge amounts of atmosphere and partying options. 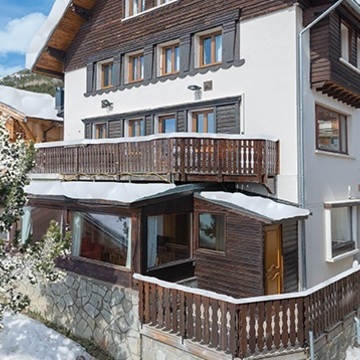 Zermatt and Verbier in Switzerland, St Anton in Austria, Cortina in Italy and Val d'Isere, Meribel, Chamonix and Megeve in France are the top picks but there are plenty of other smaller ski resorts that offer that special New Year holiday atmosphere. Although historically snow sure the New Year week in the last couple of years has been the week during which the first major snowfall arrives. So it's worth considering higher resorts that are pretty much guaranteed to offer fabulous snow at this time of year. 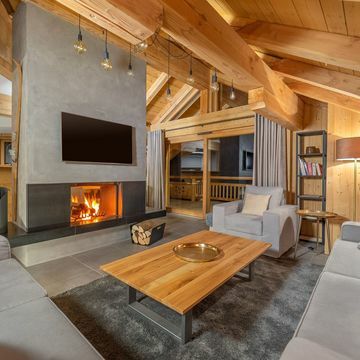 If you are holidaying with a bunch of friends and you decide to book a chalet for the new year week then it's very important to check the location of your chalet in resort, especially in relation to where your favourite après ski bar or nightclub is located. Your friends are not going to thank you if there is a long 2am trudge back from the most happening nightclub to your chalet. Whereas most ski resorts offer a free bus service around town this is unlikely to run much past midnight (except in Val d'Isere and Zermatt) which means that walking back to the chalet after a big night out is the only option. Night temperatures can plummet well below 0 degrees in December so a walk of more than 10 minutes is less than ideal unless adequately dressed. 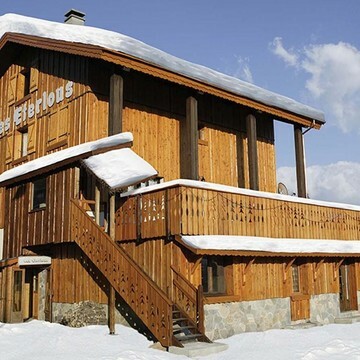 We always recommend that if you do have had a large night out that you never walk back to your chalet alone as getting lost and wandering around in a snow storm in the middle of the night is no fun at all.